The name given to Nissan’s new small wagon broadly hints at the intended demographic. Kicks is urban slang for a cool pair of running shoes, but in this case it’s also about having fun. In many respects, the Kicks becomes the replacement for the funky 2011-’17 Juke. That oddity of a car never really caught on with younger or older buyers, despite being a gutsy little beast that drove better than it looked. Looks might not be everything, but first impressions count for plenty with car shoppers. In this regard, the Kicks doesn’t disappoint, with styling originating from Nissan’s Brazil and California studios. The Kicks is assembled in Mexico. Nissan’s signature “V-Motion” grille design is in play, as are floating rear roof pillars that look to be scaled-down versions of those designed for the larger Murano wagon and Maxima sedan. 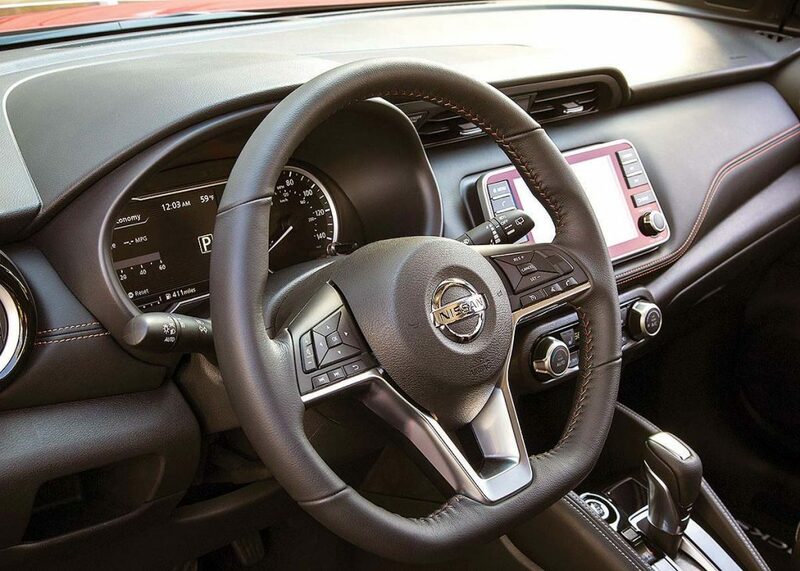 Inside, the Kicks represents the very essence of simplicity, with an uncluttered dashboard and controls. 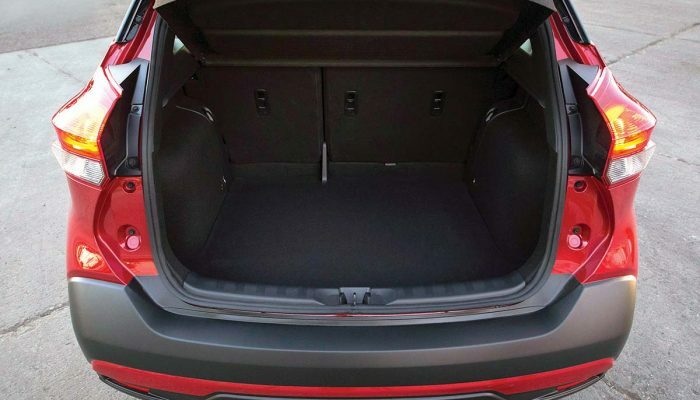 It’s also more spacious than the Juke, beating it in overall length, height and cargo capacity as well as in the distance between the front and rear wheels. 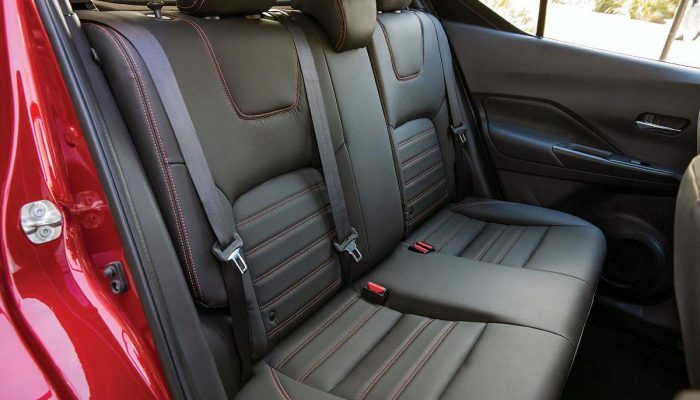 That translates into plenty of front- and rear-seat leg and shoulder room for adults. Cargo capacity meets or exceeds similar models in the small-wagon class. The little Nissan is also about 135 kilograms lighter than the 1,340-kilogram Juke. Light weight is important since the Kicks’ 1.6-litre four-cylinder engine produces a modest 125 horsepower and 115 pound-feet of torque. The Juke’s turbocharged 1.6-litre four-cylinder was rated at up to 215 horses and 210 pound-feet. The sole transmission is a continuously variable unit (CVT) that works well enough until the Kicks is pushed hard. Then it reverts to that CVT whooshing/whirring sound that’s reminiscent of vacuum cleaners and jet engines. A manual gearbox is nowhere in sight, which is a shame since if would likely be quite satisfying, also giving youthful buyers an opportunity to learn a new skill. CVT-equipped cars generally produce better fuel-consumption numbers, however. The Kicks is pegged at 7.7 l/100 km in the city and 6.6 on the highway. It takes an aggressive right foot to get the Kicks up to speed, but once there the ride is relatively supple and the noise invading the cabin is minimal. Cornering is precise, even though the electronic power-assisted steering (EPAS) feels overly boosted and detracts from an otherwise sporty driving experience. Since it uses the same platform as the Nissan Versa sedan, the Kicks does not offer all-wheel-drive. According to a senior Nissan executive, AWD demand in this segment is low, anyway. The Toyota C-HR also does not offer all-wheel-drive. The good news is that the list price is just under $20,000 for the base S model. That gets you air conditioning, 18-centimetre touchscreen, fog lights and automatic emergency braking. The mid-grade SV has climate control, heated outside mirrors, Apple CarPlay and Android infotainment, and 17-inch alloy wheels (16-inch steel wheels are standard). The top-end SR is equipped with LED headlights, upgraded exterior and faux-leather interior trim. There’s also a 360-degree around-view camera and an eight-speaker Bose-brand Personal Plus sound system that includes built-in headrest speakers for the driver. The option sheet includes a number of two-tone paint schemes that contrast the roof with the body, some of which are definitely on the wild side. Surprising, perhaps, there’s no power-operated-sunroof option. 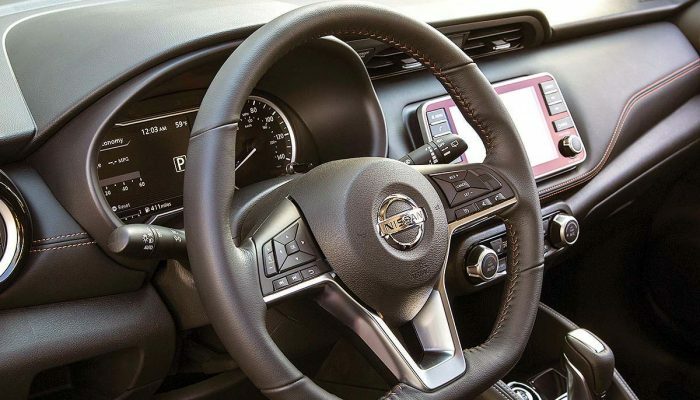 Overall, Nissan has done a stellar job of equipping the Kicks with plenty of content, while keeping it affordable for first-time buyers, or anyone else, for that matter. 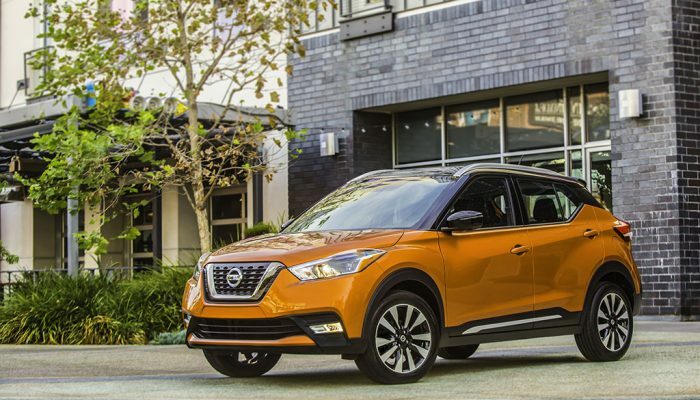 Market position: The Kicks is Nissan’s second attempt at creating an entry-level utility wagon (following the controversial Juke’s retirement) for younger first-time buyers. This time the automaker is almost guaranteed to succeed. Points: Eye-catching design should appeal to just about everyone. 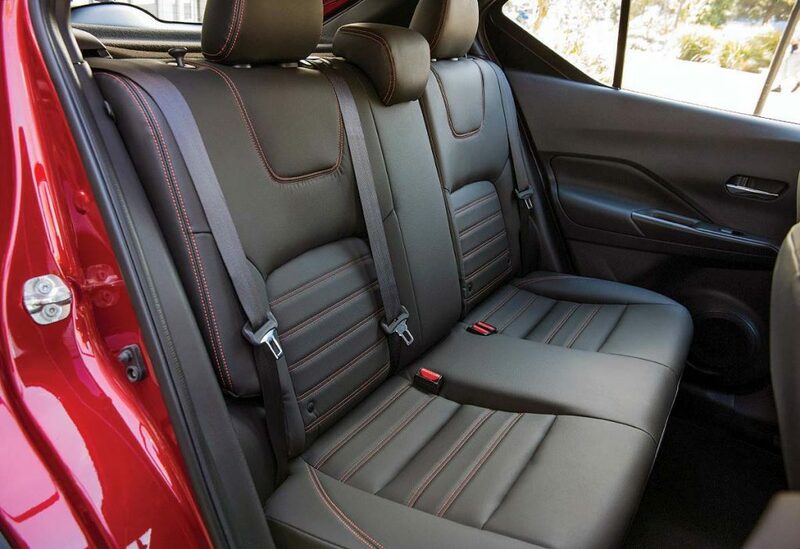 • Interior is surprisingly roomy for people and cargo. • Modest engine could definitely use more power. • Lack of an all-wheel-drive option could have prospective buyers looking elsewhere, especially those who are into winter sports. • Manual-transmission choice, please. • Well equipped and priced right . active cruise control (n.a. ); emergency braking (std.). Pricey, but well-equipped model. Styling is somewhat polarizing. 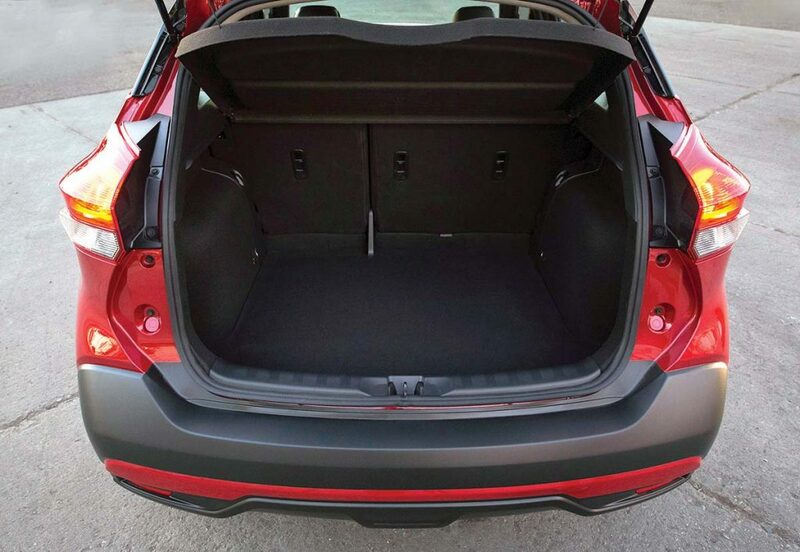 Stylish wagon with strong base and optional engines and AWD availability. Tiny utility comes with a standard 123-h.p. turbo three-cylinder engine.